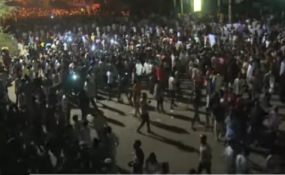 Darfur / Kordofan / Blue Nile — The Justice and Equality Movement (JEM) has called for the release of all prisoners and detainees as a result of the war in Darfur, Kordofan, and Blue Nile, similar to the release of political prisoners, activists and others pledged by the Interim Military Council. The Sudanese Revolutionary Front (SRF) calls for a 'more representative revolutionary delegation'. JEM: "Not releasing them is a call for the continuation the war and further rupture of the country... . delaying this or excluding it from pressing issues of the hour for the forces of change will have serious consequences that may delay the healing of the Sudanese conscience and reap the fruits of the revolution."